Visitors are always welcome at Holy Assumption Monastery. 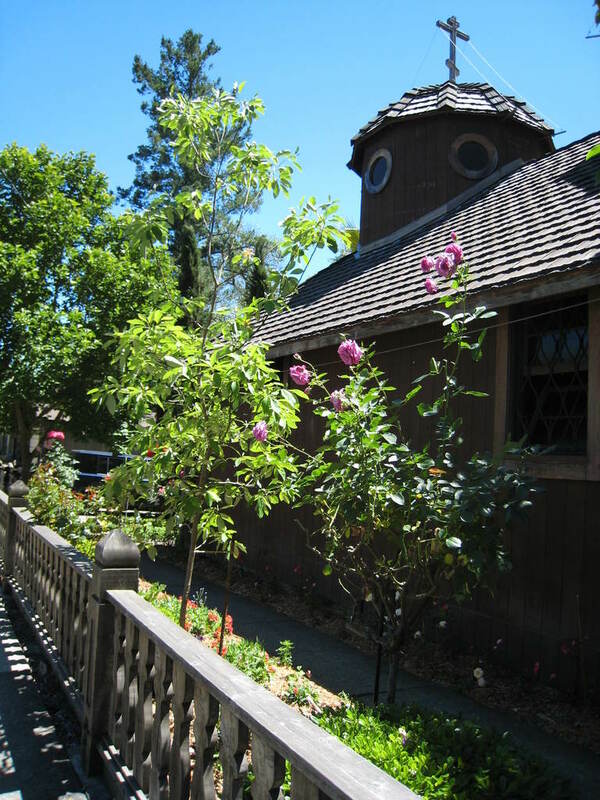 Due to our unique location in the heart of a tourist town, the sisters are accustomed to accommodating guests at our services, meals, and daily activities. Both Orthodox pilgrims and those who are curious about monasticism and Orthodoxy may join us at any time. If you are bringing a large group, please call ahead so that we can arrange to welcome you and give you a tour or talk. One room is available for women guests to stay overnight. In addition, a few local bed and breakfasts with reasonable rates are located close by. While you are with us, visit our Store (look for the red door along the Washington Street sidewalk) to browse our selection of books, icons, monastery-made prayer ropes, honey, olive oil and vinegar, and various gift items. Many of you who come to the monastery ask what you can bring with you for the community. We are very grateful for your wish to contribute to the life of the monastery. Below you can read some suggestions of useful items that are always appreciated at Holy Assumption!